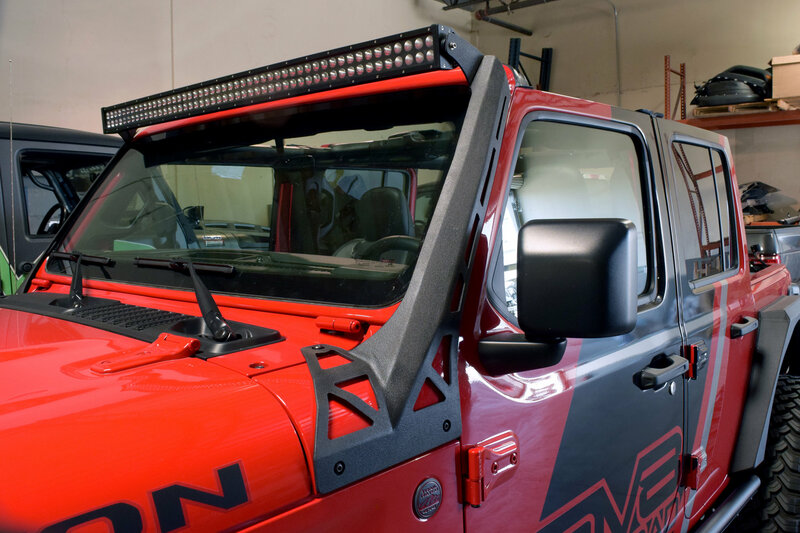 Mount a full-length LED light bar on the DV8 Offroad 50" Light Bar Mounting Bracket Pair to be able to see the trail ahead of you. The design is stylish yet simple, constructed with heavy-duty steel that is durable and strong enough to support up to a 54 in. 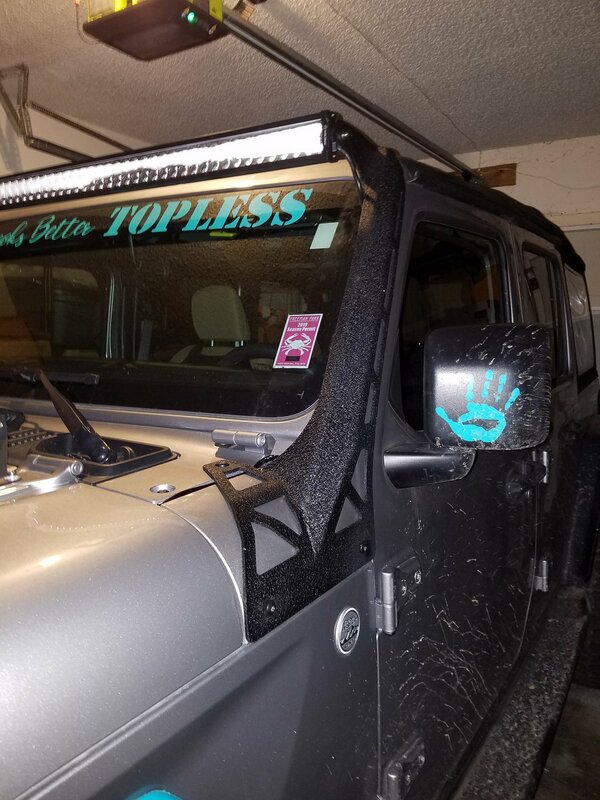 LED light bar. Anyone who drives off-road would say that it's always a good idea to have an extra light source. 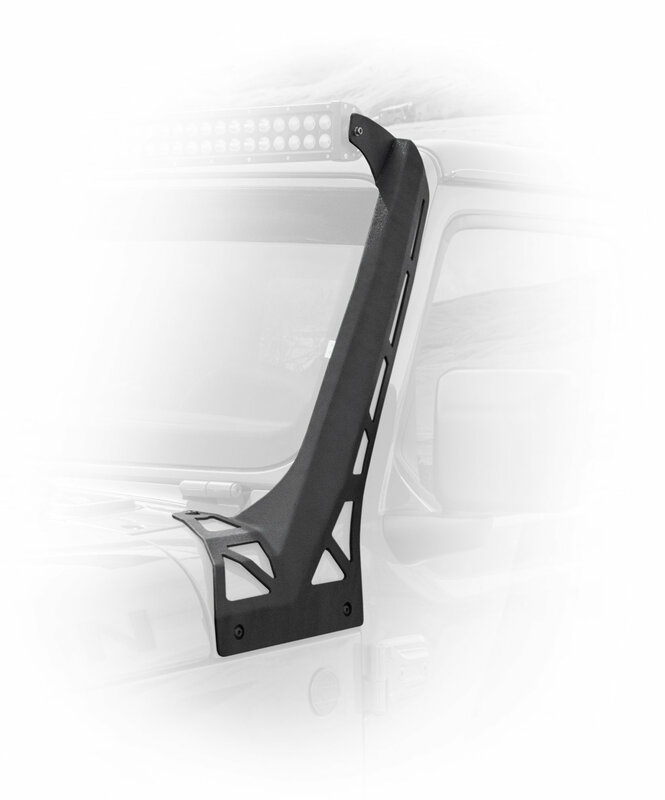 With the hardware for install included, installation is a breeze, and no modifications needed to your Jeep Wrangler JL. The light bar is sold separately from the mount. Reuses factory original hardware. 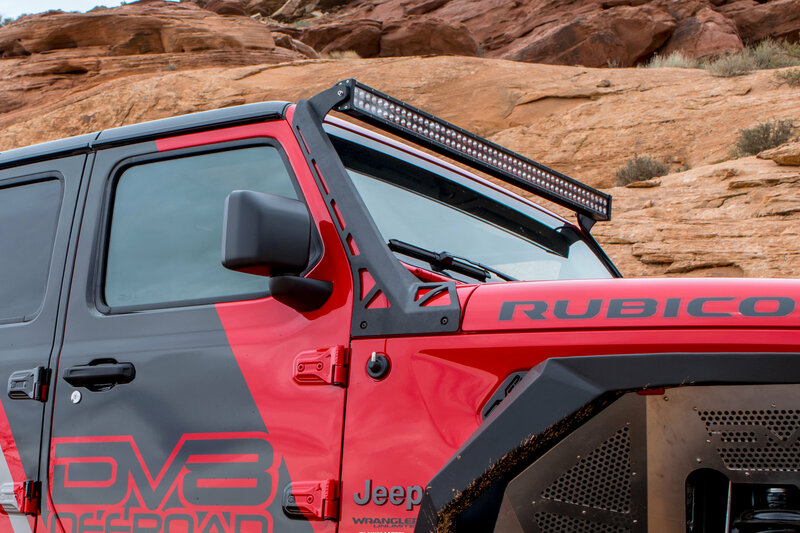 Stylish and Sturdy: Made using heavy-duty steel, this mounting bracket is strong enough to support a full size light bar so that you can light up the trails. Easy Install: No modifications are needed and reuses factory original hardware. See The Road Ahead: With a full size light bar, sold separately, you can light up the trail and ride safely at night. Bad product, falsely advertised for hardware application. You cannot mount these to a JL without the hassle of finding longer bolts. Wasted an hour trying to make it work before seeing that others have the same problem. Very disappointed Having to lose money and time and not have this for a trip this weekend. Purchased this light bar mounting bracket and tried to install using factory hardware as advertised. The two lower torx bolts are not long enough. Factory hardware will not work and this is false advertisement. Spoke to DV8 and they told me to go to Jeep dealer and get hardware for JK Jeep, I did go and purchase 4 torx bolts for the JK Jeep upper door hinge (Part # 6508953AA) at a cost of $30.26, these are the bolts needed to install this bracket. I did ask both Quadratec and DV8 to correct the description claiming the factory hardware works because it does not. I love the lightbar mount, but similar to above, the OEM M8 Torx bolts are not long enough with the mount and padding. I would recommend DV8 include 4 M8 1.25 bolts for the sides that are long enough. For the above, I'd like to know the link/product for the bolts Quadratec sent so I can order them.